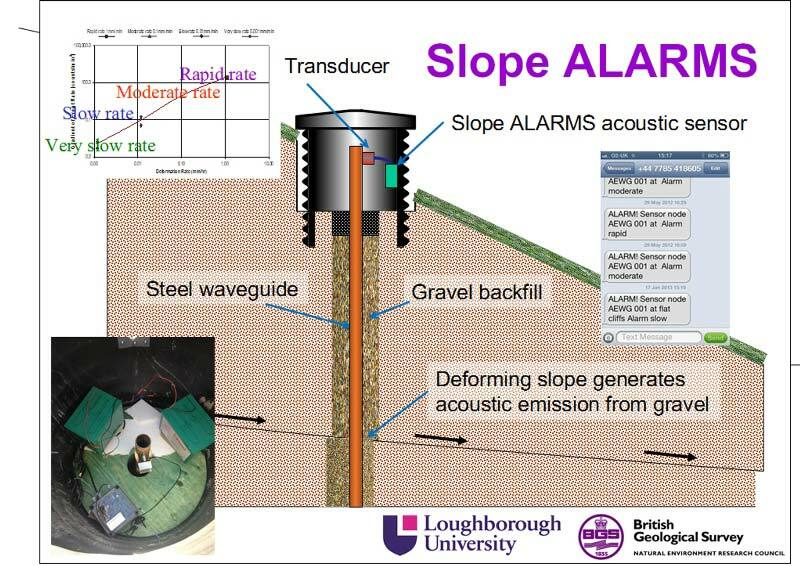 Research effort has culminated in the world leading Slope ALARMS system being established as a viable approach to provide early warning of slope failure. Field trials world-wide have demonstrated proof of concept and identified benefits over traditional techniques. The last few years have been pivotal for Slope ALARMS with definitive field evidence showing AE rates are proportional to slope displacement rates, publication of five journal papers, new installations in the UK, Canada and Austria, and broadcast of Discovery Channel and BBC films. Discussions are in progress to commercialise Slope ALARMS so that benefits can be experienced by organisations and communities world-wide. Neil Dixon is Professor or Geotechnical Engineering at Loughborough University with over 30 years of experience in research and practice studying slopes and developing instrumentation.